Phill and Fernando headed off to Coonabarabran on Friday afternoon looking forward to a big 5+ hour drive to the country. They stopped at Lithgow Workers Club for a well earned meal and continued on to their destination arriving just before midnight. 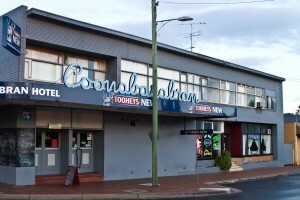 It was easy to find their lodging at the Coonabarabran Hotel/Pub as there are only 3 pubs in town and they are all on the main road. They tried unsuccessfully to gain entry as all the doors to the pub were closed and the publican wasn’t going to let anyone else inside, especially two obvious non-locals, Fernando had to call the female owner to explain they were outside waving at them, and needed to get the keys and get some sleep. The room/closet was just big enough to fit two kid-sized single beds, one small 1940’s sink and a bottle opener. That was OK because they only wanted a roof over their heads and somewhere to freshen up. The loud swearing and yelling stopped about 45 minutes after the 3 pubs closed, and the locals found their way back to where they came from, after drinking and gambling their dole cheques. A very exciting welcome to Coona township. The guys were able to sleep in and grabbed some breakfast and coffee at the nearby coffee shop. On arrival at the Rifle Range, which was on one of the club members property’s, they saw the large barn shed which was the clubhouse, and many people who were camping on the range. They weather looked menacing, and rain and some hail made it possible to only shoot 800m, the officials decided to try and shoot 4 ranges the following day depending on weather. Phill managed to shoot a 49.2 (needing 3 sighters) for 3rd place, and Fernando shot a 43.3 in B Grade for 3rd place also. 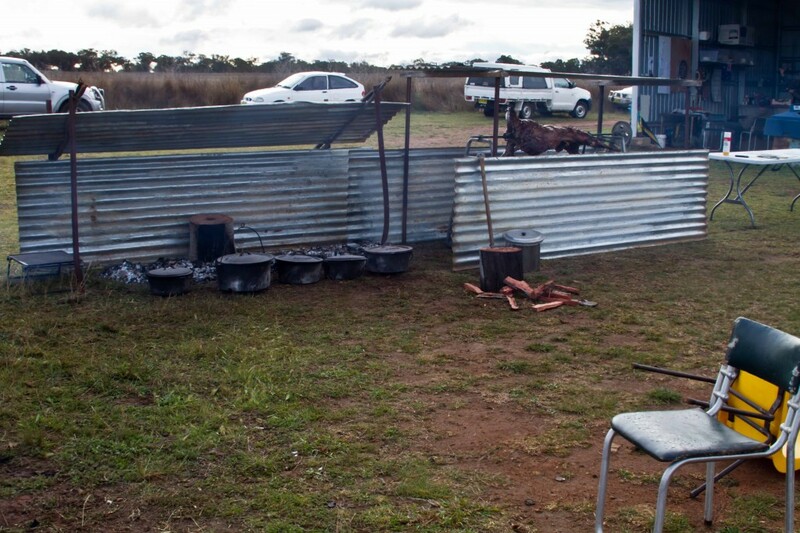 A bush tucker dinner was on the menu for those staying around, consisting of lamb on the spit and veggies cooked in the camp ovens. The following day it was decided to shoot 3X 600m, have lunch then if the weather agrees to shoot 1000y. The gods were with the shooters and the rain held off, but strong, freezing and gusty front on wind prevailed during the course of the day, causing scores to lower as the day went on. Phill managed a 48.5 in the first 600m for 2nd place, and Fernando shot a wonderful 49.5 in the last 600m for 1st place. At the conclusion of the two day shoot Phill was lucky to gain 4th place, and Fernando 2nd place. All and all this was an excellent prize shoot and the country shooters showed their hospitality and mate ship to make it a very enjoyable experience for all. 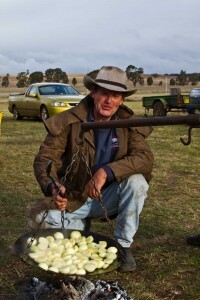 This story is inspiring me to go next time to external competition to some remote area.